$195,000 to Cleveland Leadership Center supporting the launch of “Advancing Cleveland,” a program for Greater Clevelanders who have retired, or are approaching retirement, to use their experience and expertise to advance community initiatives and participate in civic projects. Advancing Cleveland will provide participants opportunities for continuing education in civic issues, relationship building, collaborative leadership, civic action and – recognizing the importance of inter-generational connections and learning – mentoring of rising generations of Clevelanders. Advancing Cleveland will be part of our Encore Cleveland network of meaningful opportunities for adults in our community who are nearing or in retirement from their primary careers. $170,600 to Global Cleveland to help drive regional growth through citizenship, global talent, innovation and neighborhood development. Our support will allow Global Cleveland to play a role in the Governors’ Welcoming Initiative Network, a collaborative of Ohio cities working to address the needs of immigrants. 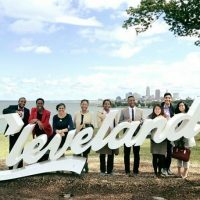 Our grant will also help add additional “sister cities,” international sites where Global Cleveland is establishing ties and sharing best practices, including in India, Nigeria, Ethiopia and Taiwan. In addition, Global Cleveland will train more community navigators to help integrate immigrants into the larger community, and increase the number of naturalized citizens, focusing on talent attraction, retention and economic growth. 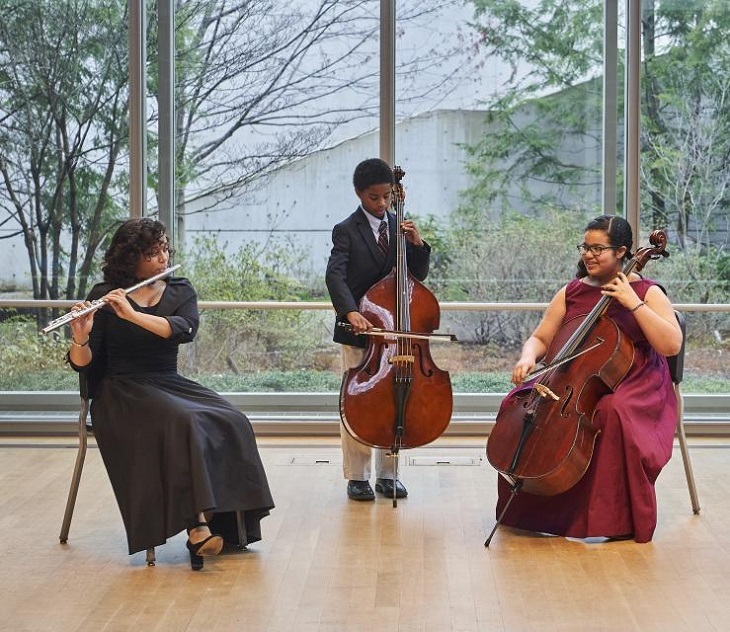 $150,000 to the Cleveland Institute of Music for its Musical Pathway Fellowship, to increase access to conservatory preparatory education for African-American and Latinx students in the hope of changing American classical music. Fellows receive full scholarships to the program, weekly one-on-one instruction, and opportunities to perform in various ensembles, music theory and other classes. Our latest grant will allow the fellowship to continue and expand in its second year, supporting three new fellows. $75,000 to Community Initiatives for Groundwork Ohio’s work to advance quality early learning and development as an essential strategy to improve school outcomes, help Ohio’s children succeed, and lay a foundation for prosperity in Ohio. 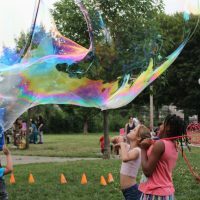 Our grant will support a gubernatorial Vote for Ohio Kids campaign, and two reports focusing on race and rural equity, and childhood mental health. These reports will examine mental health disparities experienced by children who are poor, minority or have a disability, and an equity report examining disparities based on race. $60,000 to the Musical Theater Project (TMTP), an organization that documents and celebrates the cultural history of the American musical through local concerts, in-school programming and nationally-distributed radio programming. Over the past decade, TMTP has grown its “Kids Love Musicals!” program and has explored adaptations of the program for students in special education classrooms. Through an Ohio Arts Council effort, it has also been piloting arts programming for our community’s aging population. Our grant will help TMTP expand implementation of Kids Love Musicals!, with a priority to serve Cleveland Metropolitan School District students. It will also support planning and development efforts to begin piloting TMTP’s new “Creative Aging” programming and exploring new partnerships with local senior-serving organizations. $199,050 to Birthing Beautiful Communities (BBC) to continue its community doula initiative to address high rates of infant mortality, particularly in African-American babies, in Cleveland neighborhoods. Our grant will support BBC’s effort to increase fundraising capacity so that more women and their families can be served, increase advocacy for changes to Medicaid policies, and expand staff support for a “Dude-la” program centered on engaging new and expecting fathers. BBC is an integral part of the Cleveland Foundation’s Greater University Circle Community Health Initiative focused on reducing lead exposure and poisoning and decreasing infant mortality rates. 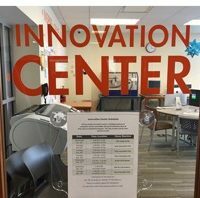 $120,000 to Oberlin College to create a Cleveland Citywide Dashboard to aggregate real-time energy use data from multiple buildings, schools, businesses, utilities, and water quality readings based at the Great Lakes Science Center. The dashboard will be a scaled version of Oberlin City’s pilot Environmental Dashboard. Our grant supports the installation of monitoring sensors and data, as well as the development of a permanent exhibit space at the Center. Additionally, Oberlin College will develop regional Environmental Dashboard curriculum training for teachers interested in using the data with students to explore and reduce energy consumption and the impacts of our built environment on the natural environment. $75,000 to St. Clair Superior Development Corporation to build capacity and refine the business model of Upcycle Parts Shop (Upcycle), an innovative place-based social enterprise with a mission to provoke creativity and promote community through the transformation of donated commercial, industrial and residential waste into artistic and economic value. Upcycle was incubated by St. Clair Superior Development Corporation, and our grant will help it transition to its own independent organization, introduce residents of the St. Clair and Glenville neighborhoods to the maker economy, and expand its role as a community gathering space. These are just a few of our July grants. Follow our grantmaking throughout the year by subscribing to our monthly e-newsletter!